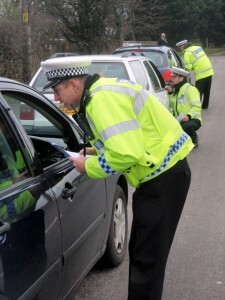 Avon & Somerset police today launched their annual Christmas Operation Tonic campaign to crack down on anyone driving under the influence of drink or drugs. They are calling on members of the public to shop a drink or drug driver by ringing 999 or texting the word ‘drunk’ with brief details to 81819 if they see anyone getting behind the wheel while under the influence. The text message system was introduced two years ago and has had a good response from members of the public. A force spokesman said: “This year we hope that even more people will know about it and use it, giving officers the chance to apprehend offenders and, importantly, deterring people who might think about taking a chance on driving. Operation Tonic will run until 1st January and forms part of the police’s Have the Christmas You Deserve campaign that will run throughout December. The campaign incorporates a range of activities to tackle issues relating to the festive period, such as keeping your Christmas gifts secure and tackling drink related offences, including violence, ASB and drink-driving. Last Christmas a total of 857 motorists were given breath tests across the Avon and Somerset area and 136 people were arrested and charged as a result of positive breath tests.